The Internet of Things(IoT) is the network of physical objects or ‘things’ which are embedded with electronics, software, sensors and network connectivity that enables these objects to collect and exchange data. The Internet of Things allows objects to be sensed and controlled remotely across existing network infrastructure, creating opportunities for more direct integration between the physical world and computer-based systems, and resulting in improved efficiency, accuracy and economic benefit. Currently, the internet is the place through which you can get everything you need. There is probably nothing that the internet does not offer us and if you are into some kind of business, then it is really crucial that you have a website of you own as that would only ensure better traffic and better sales. Having a website means you have the entire world as your customer base. Hence, it is really important that you have a professional website. But just having a website is not enough as you need an impressively designed website that is search engine optimized. We Specialize in Technology migration strategies and possess adequate technical expertise and experience. Our Company has in-depth experience of implementing Technology migration projects for many of our clients. Check our clientele portfolio to learn the success stories of integrating and transferring data and keep their business going. Search Engine Optimization is to facilitate website pages to display pertinent information in a way that attracts and holds users to the Page. Whether you are running a huge business or starting up with the online market, SEO is the imperative necessity for everyone. 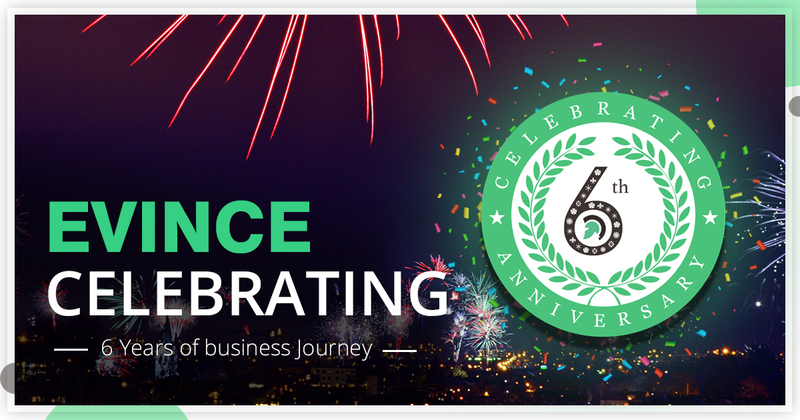 Evince Development, an ISO certified IT company, is now 6 years old and would like to take the opportunity to thank each of our customers, partners, and employees for believing in us. You all are the vital assets for getting us where we are today. These six years were rollercoasters, and we learned a lot. The coming year is full of exciting developments for the entire company, today we’ll talk a little more about what’s gone by and what’s exciting to come. 6 years ago, we began working as an Enterprise software & IT solution company. As the company grew popular, we expanded into a network of websites, which then transitioned into an IT solution and web development company, having top-notch services like web design, E-commerce Development, Mobile Development, Cloud Solutions, Enterprise solutions, AI & Bot development and UI/UX services. In the span of six years, we were fortunate enough to go from participating in business fests to organizing them across the state. Along the way, we were honored and humbled to be chosen as part of the top developers Awards 2017 by Clutch, moments which brought immense learning and perspective is only fueled our passion further. When we registered Evince as a private limited company in 2012, the future looked promising but daunting. It was a step we wanted to go, a step that would shape our lives for the future. Our first customers and partners have played a major role in driving our efforts forward, and their support has helped us in a few months to grow and reach new heights. The coming time is even more exciting as Evince Development embraces new industries, new markets, and above all sharing what we have learned in a short but rewarding time. First off, we’re extremely passionate about our expansion beyond Indian shores, into the United States of America and United Kingdom. We at Evince always worked on a vision to be the champion IT boutique shop that draw treasuring relations and delivering growth by continuously transforming clients with our handpicked professionals. The goal is to truly become a complete IT and marketing solution which catered to quality services, ethics, and honesty, 360-degree satisfaction and project first approach. We truly believe in clear client communication, value the time and money of client also value of rights and interests of the employees. In fact, we believe that the best results can be achieved through collaboration and knowledge sharing. As a result, we hope to share what we have learned and build relationships and partnerships with people who know all industries. We have always been working on ethics like it’s not about us but it’s about you and your business and our job to integrate technology that helps to run your business better. All in all, it’s been an incredibly great time for all of us here at Evince Development, and we’re confident that the time ahead will be even better! Once again, thank you for believing in us, it truly means a lot. Here’s to another great year! Provided email address is already applied for free ebook, thank you! Thank You for applying! You will soon receive the ebook. Thank you very much for finding and reading our article. If you have any suggestions or query, please do not hesitate to contact us. Next articleEvince Development named as a Top Web Developers by Clutch 2018! Evince Development named as a Top Web Developers by Clutch 2018! 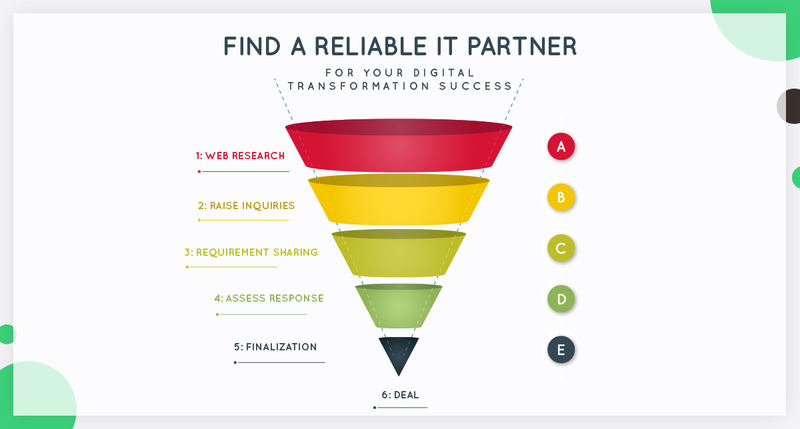 How to Find a Reliable IT Partner to Accelerate Your Digital Transformation Success? Why Sitecore is Perfect for Enterprise Development?